A subtropical resort town positioned in a unique geographic location, Sochi has been Russia’s most popular domestic holiday destination for decades. In Soviet times football clubs would come here for their winter training camps. Now that the city has hosted both the 2014 Winter Olympics and Formula 1 it has all the necessary infrastructure in place to host World Cup matches. The development of infrastructure and investment to host sporting events has led to an increase in the population of Greater Sochi. 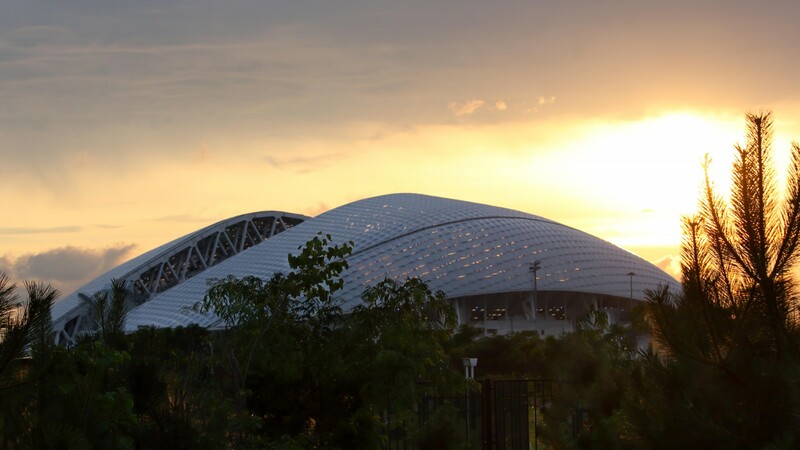 Nonetheless, the airport, stadium and most of the sports infrastructure is not situated in Sochi itself but rather in Adler, a town further south which is part of what makes up Greater Sochi. Most people come to Sochi for the beaches so there are not that many other places of interest. The sea-port in Central Sochi is a popular spot but quite small and not many options to eat or drink. The official Fan fest will take place there. One of the unique places in Sochi is the Friendship Tree Garden Museum at the city botanical garden. It features a 1940 citrus tree with over 45 types of citrus fruits grafted on it by people from more than 160 countries, as a symbol of world peace and friendship. A few steps away is the old Slava Metreveli football stadium - named after the most prominent local footballer of Georgian background. The Olympic park in Adler is where the new stadium is located, surrounded by various other sporting facilities and a theme park. The simple restaurant ‘Belye Nochi’ is one spot to indulge in Georgian, Abkhaz and Ossetian cuisine with the famous grilled meat – ‘shashlyk’, cheese pastry ‘Khachapuri’ and more. The nearby Adler features one of the most popular markets in the area. There you just have to try the unique Georgian treat – Churchkhela: walnuts threaded on a string covered in flour thickened grape juice. Due to the hot climate you are advised to be very cautious where and what you eat though and keep hydrated. 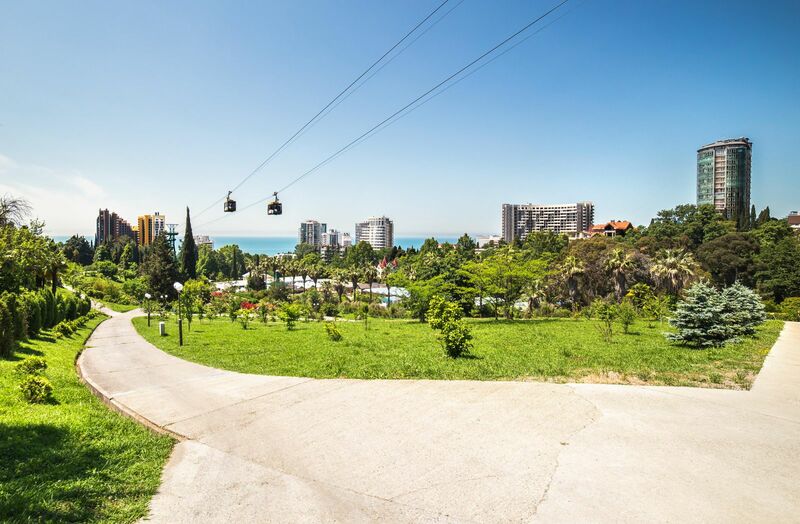 As a resort town where people from all over Russia visit in summer and winter, the atmosphere in Sochi is somewhat more relaxed and safe for minorities than in other places. Most people in and around Sochi are involved with the tourist industry and traditional Caucasian hospitality should make you feel at home. Nevertheless, beware of large male cgroups at night, do not get involved in arguments. The Greater Sochi area is not very walkable, so you may have to use taxis quite regularly. Beware that taxi drivers can get aggressive and overcharge, especially at the airport. Always use official taxi apps – Uber, Yandex or Gett. Historically, Sochi was a multi-ethnic area with indigenous Circassian, or Adyghe peoples populating the mountainous areas. Many places in and around Sochi remain Circassian today – rivers Mzymta, Hosta for example. When the Russian Empire occupied the area during the Caucasian war of the 19th century up to 90% of Circassians were expelled or murdered, a tragedy often referred to as the ‘Circassian genocide’. These historic events still remain a delicate topic in the region. The villages of Tkhagapsh and Bolshoi Kichay are located in the Greater Sochi areas roughly two to three hours. These villages are part of only a few remaining Circassian settlements. After Russian expansion the area was repopulated by Greeks, Russians, Armenians, Georgians, Ukrainians and other peoples of the Soviet Union. Some places in Sochi reflect the connection to these. During Soviet times, unlike in some other places across the country, ethnic minorities in the Sochi area were supported and education in minority languages was encouraged. In the 1980s and 1990s Sochi hosted many Armenian refugees after the earthquake and Abkhazian war refugees. Today Armenians form the largest ethnic minority in Sochi, accounting for around 20% of the population. he Sochi Olympics uncovered a number of issues relating to human rights abuse by the local government, ranging from ecological damage to discrimination and detention of labour migrants. Local human rights activists like Semyon Simonov, chair of the local Southern Human Rights Center and the organisation Memorial in Sochi, have experienced lasting persecution of his organisation and his family by authorities. Thus, the activity of human rights activists is very difficult and the number of active NGOs is low. There are no active LGBT+ rights groups in Sochi and the region is generally perceived as one of the more homophobic in Russia. Nevertheless, being a resort city with millions of visitors every year, the probability of aggression towards LGBT+ people is somewhat lower. The city has a very popular gay club functioning for more than 10 years that came into focus during the Sochi Olympics – ‘Mayak’, located at Navaginskaya ulitsa, 3. Gay people in Sochi have been meeting there since the 1970s.